Opti-tec 5020-1 is a clear, two component, low viscosity optical epoxy which will cure in thick sections at room temperature. In thin sections, it is clear and transparent. In thicker sections, it can take a yellow or straw tint. Opti-tec 5020-1 is designed for potting and encapsulation of components where optical clarity, good wetting and low viscosity are important. Opti-tec 5020-1-B is a black version with similar properties. See Specifications tab for details. Part number change: as of version 7.0, November 2018, the part number of this product changed from Opti-tec 5020 to Opti-tec 5020-1 and Opti-tec 5020-B to Optic-tec 5020-1-B. This is due to an unavoidable change in a formulation component. This change does not affect the product data sheet specifications. Our tests have shown very similar performance to the previous version. Rate of cure will depend on temperature and volume. Thin films will take 2-3 days at 25°C. 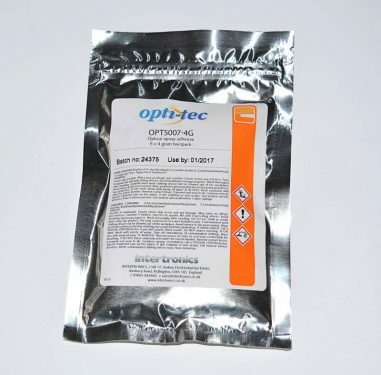 Opti-tec 5020-1 is available in twinpacks or in bulk. 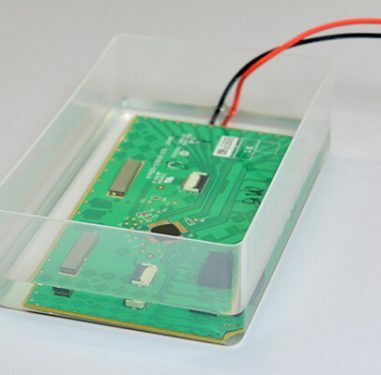 The twinpack sachet is a clear film sachet, with the resin and hardener separated by a removable clip and rail divider. Click here for twinpack mixing instructions. Standard twinpack size is 100g total weight. 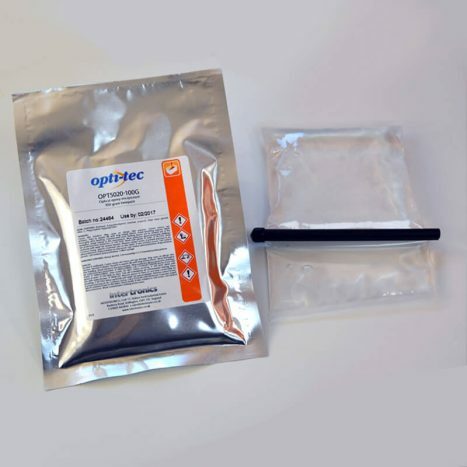 Opti-tec 5007 is a two component, low viscosity clear epoxy adhesive with a two hour pot life, capable of curing within 20 minutes at 75°C. Opti-tec 5007 has excellent sealing and bonding characteristics due to its viscosity and wetting properties. Cured material has high shock and impact resistance with outstanding chemical, moisture and thermal resistance. 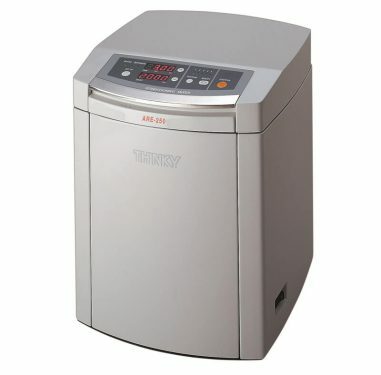 The THINKY ARE-250 mixing and degassing machine is an industrial non-contact "planetary" mixer for all engineering compounds. It mixes, disperses and degasses up to 310g of material in seconds to minutes, in a sealed or lid-less container such as a jar, beaker, syringe tube or cartridge.